Dental cleanings are important to your oral health. That's why insurance plans almost always cover them. Regular checkups and cleanings are the top way to prevent cavities and to keep your mouth healthy and strong. Has it been a while since your last cleaning? 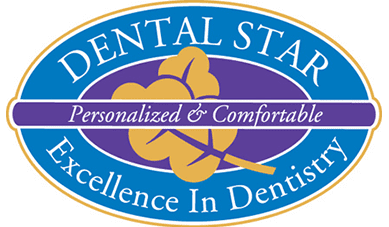 Quickly schedule your regular cleaning by booking an appointment online or calling Dr. Vladimir Potepalov and the dental team at Dental Star New Jersey in Englishtown, New Jersey, today. What should I expect during a dental cleaning? First, expect an exam. A Dental Star New Jersey professional begins by visually looking over your teeth and assessing your gum health, looking for any glaring problems. If you need X-rays, they are taken during your regularly-scheduled appointment. The actual dental cleaning process begins after your X-rays. The hygienist or dentist uses a small metal tool with pointed ends to remove harmful plaque and tartar from your teeth. This step could take longer if you've skipped a cleaning or two. Once the plaque and tartar have been scraped away, the dentist or hygienist uses a polishing toothpaste and high-powered toothbrush to give you an intensive brushing. They will also give you a professional flossing. Lastly, you may receive a fluoride treatment to support healthy tooth enamel and fight bacteria between office visits. Dental cleaning frequency varies from person to person and depends on a variety of factors. The usual recommendation is twice a year, but people with specific dental problems may need to schedule more frequent cleanings. The American Dental Association advises working with your dentist to determine the best cleaning schedule for your personal dental needs. Whether you need a quick dental cleaning or a complicated procedure, talking to the professionals at Dental Star New Jersey about your situation is an essential part of getting exceptional care. Everyone has different needs, especially when it comes to his or her health. Your best approach for dental care is to follow a plan that's designed just for you, not one that's designed for the average person. Do dental cleanings impact other aspects of my health? A study published in 2016 indicated that routine dental cleanings might reduce the risk of pneumonia. The belief is that dental cleanings lessen the number of bacteria reaching your lungs. Diabetes, cardiovascular disease, and other conditions have also been linked to oral health. Regular dental checkups, cleanings, and perhaps most importantly, conversations with your dentist, are an integral part of maintaining good health. Take a step toward better health. If you need a dental cleaning, call Dental Star New Jersey or book an appointment online.